English actor, bodybuilder and weightlifter David Prowse MBE was born on the 1st of July 1935 in Bristol, England. Although probably most famous for playing Darth Vader in the first-generation Star Wars films (although the character was voiced by James Earl Jones) and the Green Cross Code man, Prowse has also been quite prolific in horror films, having played a creation of Dr Frankenstein twice, firstly in The Horror of Frankenstein (1970), then in Frankenstein and the Monster from Hell (1973), and finally in Casino Royale (1967). He also appeared as a strongman in Vampire Circus (1972) and has featured in TV’s Doctor Who, The Tomorrow People, Space: 1999 and The Hitchhiker’s Guide to the Galaxy. 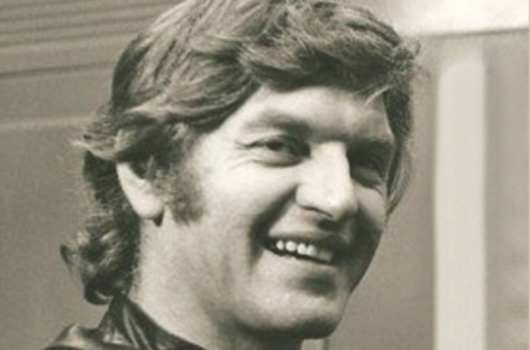 David Prowse has been married since 1963 and has three children. Having suffered from arthritis for most of his life, he now works with various organisations dedicated to helping those suffering from the condition, and is also Vice-President of the Physically Handicapped and Able-Bodied Association. In 2009 David Prowse revealed he was suffering from prostate cancer but after successful treatment he is currently in remission.